New Hyde Park, NY — Designatronics, a leader in comprehensive mechanical solutions for critical motion control applications, announces the release of a new, easy-to-use Coupling Selector tool. 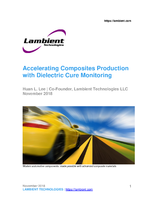 For more than 50 years the engineering community has relied on Designatronics for thorough and accurate technical information on its wide selection of products. 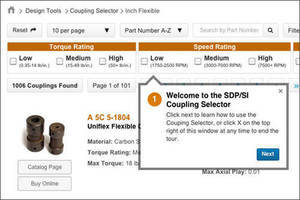 The new Coupling Selector tool was created to better organize this information, allowing the customer to quickly find the right coupling for their application. Thousands of inch and metric, rigid and flexible couplings are offered by Stock Drive Products and Sterling Instrument. To assist the customer in their search, the couplings can be sorted by all relevant design parameters in any order, which narrows down a large selection considerably. "We've created a tool that makes it faster and easier for our customers to identify the coupling or group of couplings that will meet their needs," says James Mueser, SDP/SI Application Engineer, "making it a valuable online resource." "We are aware of the tight deadlines our customers are asked to meet", says Jacques Lemire, V.P. Sales and Marketing. "Assisting them in their job by providing this tool is one way we are providing a better customer experience." 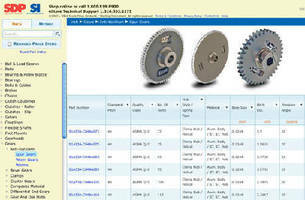 The Coupling Selector tool makes it easy to navigate a large amount of product data. Among the coupling types that are offered are Helical, Slit-Type, Oldham, Bellows, Neo-Flex, Magnetic, Disk and many more. The tool is available online at: http://www.designatronics.com/resources/couplings/ , for both desktop and mobile devices. 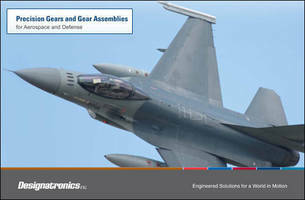 Designatronics, Inc. manages its brands to develop comprehensive mechanical solutions for industrial and commercial markets, including aerospace and defense, satellites, automation, oil and gas, and medical. 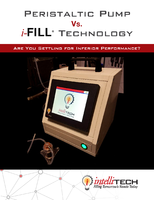 Integrated design, engineering and manufacturing are under one roof. Stock Drive Products offers both inch and metric off-the-shelf mechatronic components for the design engineer. 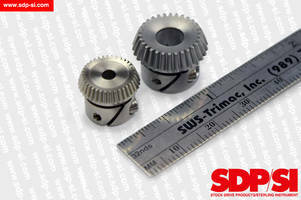 Sterling Instrument makes high-quality precision gears and custom gear assemblies, prototype to large production runs. 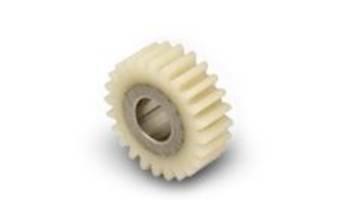 QTC METRIC GEARS supplies North America with metric gears. Quality Bearings & Components – the bearing marketplace, offers bearings and bearing maintenance equipment. For more information, visit www.designatronics.com.